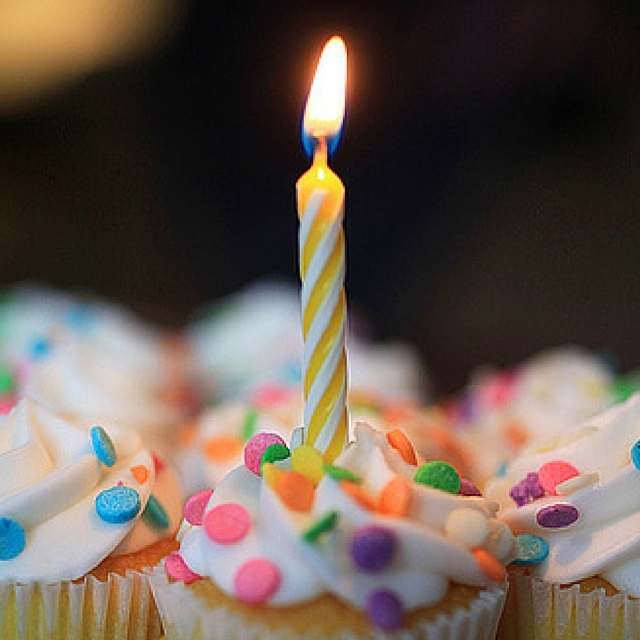 Yesterday was my blog’s seventh birthday. I had big plans to celebrate seven years of blogging. I was going to re-post old blogs, one from each year. I was going to do “seven days of giveaways” to celebrate. I was going to write something important and good, but you see, I don’t really have it all together right now. Life, I mean. I’m sort of in a barely-craping-by season that requires me to say no to simple things like having coffee with a friend. It’s the season I am in right now and I’ve decided to stop worrying about it and just press in and get the work done, but it does mean I don’t get to do a big birthday bash on my blog and that sort of makes me sad. Instead, I am going to do what I can handle and manage today, from an airplane after a glorious fifteen-minute nap during takeoff, which is this one post and jotting down a few things I’ve learned about blogging these last several years. I wrote my first blog post on September 15, 2008, from a house in England. I had just moved there. My parents were helping me settle in, and they hadn’t left yet. After a busy few days of trying to find a house and then trying to find a store that sold things like plates and mugs and then trying to find my school to make sure I was registered and enrolled, I decided to sit down and create andrealucado.blogspot.com. My first post was about an experience I had had at an ice cream shop called G&Ds. It was fun to tell the ice cream shop story, so I told a couple more stories on my blog and then a few more and a few more and one here and one there and before I knew it, I had been blogging for an entire year. And here I sit, still blogging seven years later. I keep seeing things on Facebook about how “blogging is dead” and now marketing professionals are speculating about what will replace it. But then I keep seeing people post on their blogs, and I keep seeing new blogs born all the time. So I’ve decided that blogging isn’t dead, and I guess I’ll keep doing it. Until it is really, actually dead. Like My Space. I am really the last blogger on earth who should be giving blogging advice. I mean, I hardly even touched this space for the entire year of 2012. But I have made a few observations in my years of blogging, and that’s what I’d like to share with you today, the day after my blog’s seventh birthday. The post you thought was awesome and that you poured your soul into, and when you hit publish you had no doubt that this was going to be “the viral one” and people were going to LOVE it. You know that post? Inevitably, for those types of posts, four people are going to read them, and no one is going to comment. And you will suffer a night of deafening internet crickets. But, you know that post you slapped together in a 30-minute rush just because you had a quick idea and wanted to get it out there? That one? One thousand people are going to like it on Facebook and every other one of them will comment. We can rarely predict what our readers need to hear when they need to hear it. It’s not really up to us, this is what I’ve decided. Blogging has forced me to learn to write concisely and clearly more than most forms of writing that I do elsewhere. It is excellent practice no matter what type of writing you do for your day job. Blogs don’t have to be pretty. I would like for mine to look nicer and more professional, and I plan to get on top that here soon, but one of my favorite blogs—and one of the few I actually read on a regular basis—is orangette.blogspot.com. Molly Wizenberg, the author, has a huge following and has been blogging since 2004, but she doesn’t even own her URL. I don’t care about that because her writing is wonderful and draws me in each and every time. Content matters most. I’ve decided to only focus on the aesthetic details as I have time for them. It’s awkward to talk about your blog with other people in real life. Whenever someone says, “Hey, I read your blog today!” and then wants to talk about it, I sort of cringe. Sometimes I prefer to live under the illusion that this is my diary and nobody actually reads it. I am at my blogging best when I’m writing on something I care about that happened recently. When I’m writing in real-time. For some reason, it seems to resonate with people more on the days that I talk about what I learned that very week. I’m not sure why, especially because usually those ideas and lessons are not fully learned or understood yet, but they seem to be what people need to hear, so I think I’ll keep doing that. I don’t know if I’ve ever thanked any of you for reading my blog. It really is amazing to have people to share my stories with. Even if I’m awkward about it in real life, I love that I live in a time in history where this type of cyber sharing and storytelling is possible. I don’t know what my writing avenue and place will look like after the next seven years, but secretly, I hope it’s still here, in this little space. Happy 7th blogiversary Andrea! Thinking of you in this season and sending my prayers and love! Keep blogging. You are getting it right. Happy 7th Blogging Anniversary!! Please keep writing!! Glad I’m not alone in that! 🙂 Blogging wishes to you too! Happy Blog Anniversary! Love your list, thank you for sharing your writing. Congratulations, Andrea! Keep on going! Glad you’re back at it! And glad this was an encouragement. I tend to write down ideas for blog posts that I’ll “eventually get to” rather then viewing it as a benefit if I write the blog post shortly after I get the idea. I like this a lot. I wonder if you’re like me, where sometimes you don’t know what you think until you write it out.